Sadly it appears as our original topic was purged so let me try to give you a brief description again. The Recaro seats as used in the E21 -but also in other models like E12, E24 and early E30- all use the same white straps at the bottom. Over the years these are not flexible at all anymore and you tend to sit lower and lower, making the seat more narrow and uncomfortable, and it can also lead to damaged upholstery! These original straps are NLA for ages. There are aftermarket replacements, but these are either of horrible quality, or too narrow meaning you will park your behind behind two of those straps over time. Good replacements, I haven't found any, also checked with car upholstery businesses and furniture manufacturers as well. Gladly, Recaro came up with an alternative a few years ago and we've been doing group buys on these ever since. 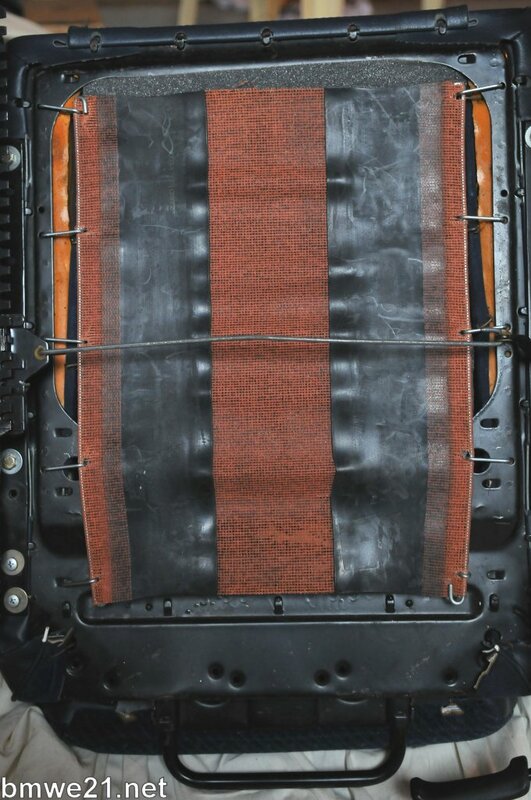 Each seat gets a new bottom lining consisting of some kind of webbing and rubber for flexibility. Fits all seats, and the seats do not have to be taken apart, you just have to take the seat out of the car to get to the bottom (4 bolts only). One of these mats for each seat, so for each car you'd need two. There is quite some tension on the mats to fit them, they of course have to carry the weight of your lovely behind huh? 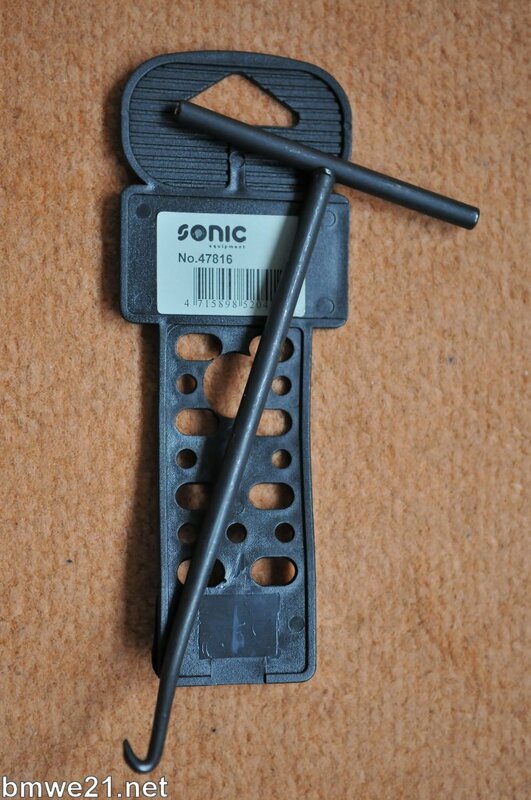 This means that it is highly recommended to fit them using a spring puller tool like the one below, available from any car parts store. Otherwise it might take quite some effort, swearing and blood spatter before they're fitted! 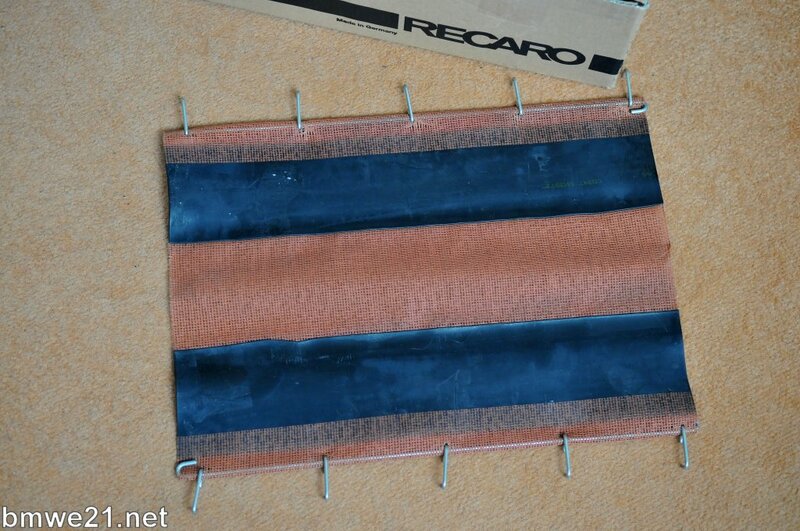 Mats are EURO 36 each, you need 2 for each car so 72 Euros a set. I will then get back to you asap with the total cost and payment details. Re: Recaro seat straps Group Buy - next edition! Order for the mats is out. As user Max aka Coastalcrush did read the repeated messages but does not have the common decency to even respond I removed this user. Which means I have one set available for anyone interested.